Clean out your game closet, get something new to play or put together, and mingle with other gamers in the neighborhood! Once each quarter, we host a Game and Puzzle Swap at the Ballard Public Library community room. 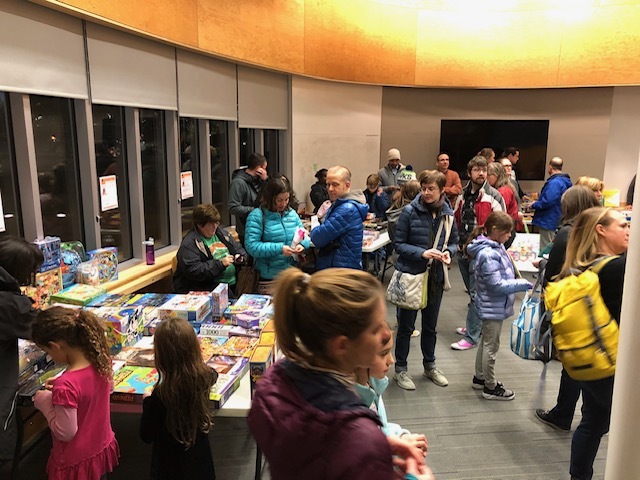 Our next swap will take place on Tuesday, May 7th, 6:30pm to 7:30pm. Kid, family, or adult board games, card games, or puzzles that you no longer want and a snack to share (optional). Games and puzzles should be in good shape, and all pieces should be included. You can exchange up to five games / puzzles. Feel free to bring extra, however. Anything not claimed in the exchange will live at the new Ballard Tool Library and be available for check out! 6:30 – 6:45: Arrive with your games and puzzles and check in. You’ll receive a token for each game or puzzle you bring (up to five). Take a look at what’s available, get to know other neighborhood gamers, and enjoy snacks. 6:45 – 7:30: Beginning at 6:45, we’ll randomly pull tokens. If you have a token that matches, select a game from what’s available. 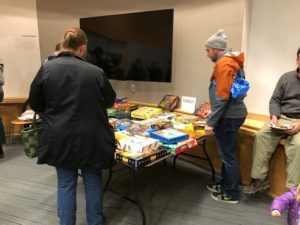 All games and puzzles not chosen will be donated to the new Ballard Tool Library and available for check out.